Does your Ford F250 windshield have a flaw? Do you see it while driving and worry about the time and money it is going to cost you to find a dealership, and wait for the job to get done? 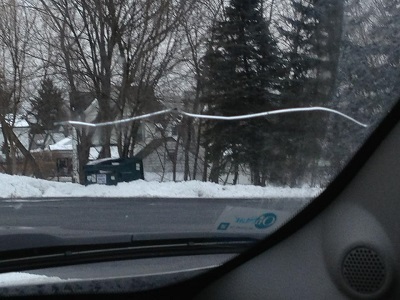 Stop worrying about the chip, and call Only 1 Auto Glass your local St Paul Auto Glass resource. A certified technician will come to your location check out your window flaw and execute the window repair quickly. Most chips can be repaired without window replacement, and most repairs can be done under an hour. Do not waste your time worrying about the chip in your vision, repairs are simple. If window replacement is needed, it can also be done at your location at your convenience. Often stressing windshield damage takes more time and energy than it takes you to make the call and pass the problem on to the pros. Windshield repairs are done on site and the flaw becomes invisible within just a few moments. Keep in mind that a chip can be repaired in your time but you should not wait too long. A crack on the other hand needs to be repaired as soon as possible because a small crack can be repaired and save you from having to get the window replaced, but a small crack grows quickly with the normal bumps and vibrations of driving. Contact Us today and schedule a certified technician repair.